Archival and telecine do not belong together! Digitalpictures and movies are dependant of software and appropriate hardware which have very short lifecycles! All data on media like CD/DVD/BlueRay have no warranty! Only for short time usage! 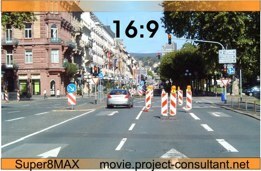 HD cameras: aspect ratio of 16:9. Some captured 1920 x 1080 (see sample picture) others 1280 x 720 pixels. Cutting is necessary to get the picture of 4:3 without distortion. Pixels are not the most important detail: Most cheap services are offered without any technical details... do they use: a screen? ..video connected with macrolens in front of a movie projector?..which kind of speed?.. which camera?..very often they use cheap consumer or surveillance “HD” cameras (bad lens, bad ccd, MPEG4 H.264 low datarates, high compression). Never you can get high quality for postproduction with this equipment. Maybe its good enough for your family in front of the TV. Telecine with “professional” (HD) Cameras can be very good, if the rest of equipment is also “professional”. Some other telecine equipment uses scanning devices. For best quality of Super8 frames you can get max 1920x1080 pictureframes in 16:9 ratio with fullHD video. 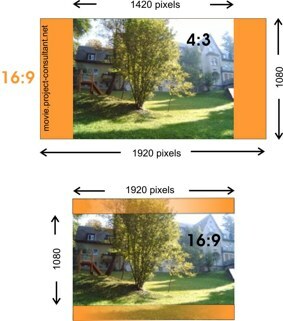 But WITH LOSS of the the orange parts (cropping) and possibly loss of details (depending of filmquality). which product is at the end of postproduction? You have find someone which delivers acceptable quality to you. Go to a professional Telecine-service and tell them your detailed wishes. Ask for their technic and what they delivers. If they want to make a secret of this - you can not get high quality. Like the Rolling Stones hit: “You .. Always Get What You Want” !